New title from Image Comics will showcase a family during the Harlem Renaissance protecting the world from supernatural forces. 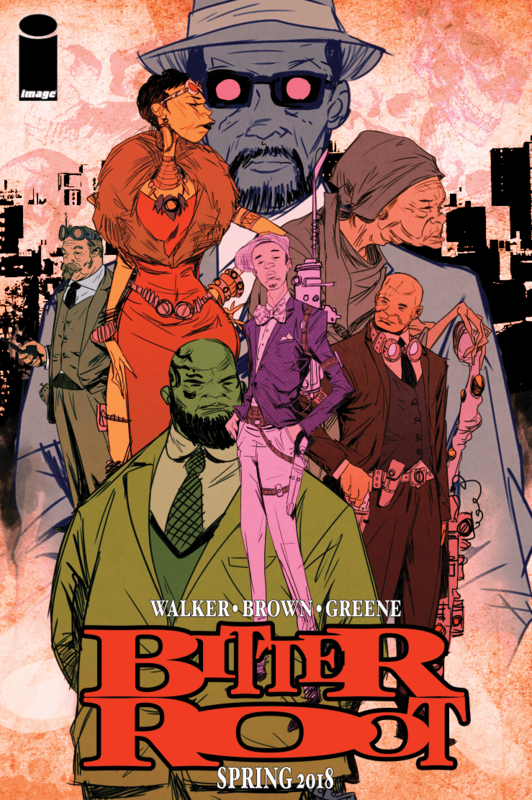 David Walker, Chuck Brown and Sanford Greene will team up on a new comic set during the Harlem Renaissance, Bitter Root, next year from Image Comics. The new series was announced today at the Rose City Comic Con in Portland, Oregon. Walker and Greene previously worked together on Marvel’s Power Man and Iron Fist reboot a couple years back, while Brown and Greene are working on the new LINE Webtoon series 1000. Per the release, the comic is set in 1920s with the Harlem Renaissance in full swing. Once the greatest family of monster hunters in the world, the Sangeryes must move beyond the tragedies of the past, or be forced to sit back and watch an unimaginable evil ravage the human race.